When visiting Angkor Wat, Angor Thom, the Jungle Temple, etc. you'll stay in the town of Siem Reap which is very, very inexpensive to hang out in. Not only do they have 2 night markets to explore and lots of restaurants, etc. 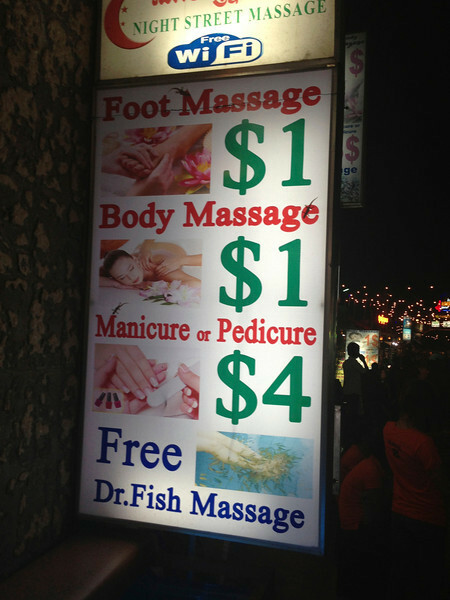 but you can get massages there for super cheap as you can see.